Home, work or college pickups. 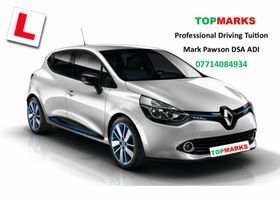 Learn to drive in style!!! Attercliffe, Bolsterstone, Bradfield, Broomhill, Broomhall, Burngreave, Crookes, Crookesmoor, Crosspool, Chapeltown, Deepcar, Darnall, Ecclesfield, Firvale, Firshill, Firthpark, Fullwood, Hillsborough, High Green, Lodgemoor, Longley, Loxley, Middlewood, Midhopestones, Netherthorpe, Oughtibridge, Parson Cross, Pitsmoor, Redmires, Shiregreen, Stannington, Stocksbridge, Tinsley, Wadsley Bridge, Wincobank, Wisewood, Worral and also some areas near and around the city centre. "IF YOU WANT TO BE THE BEST ~ COME AND LEARN WITH THE BEST"